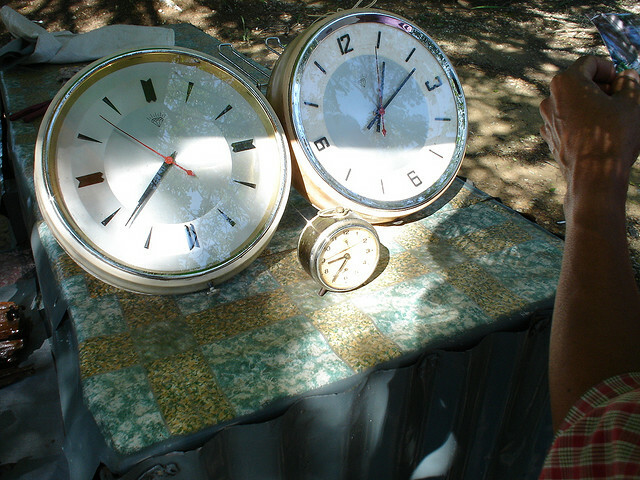 A manager asks his subordinates to leave for lunch between 12 p.m. and 1 p.m. and come back between 1 p.m. and 2 p.m. with the condition that when they leave and come back the hour and minute hands swap their places exactly. What time do they have to leave and come back? I know what I got. 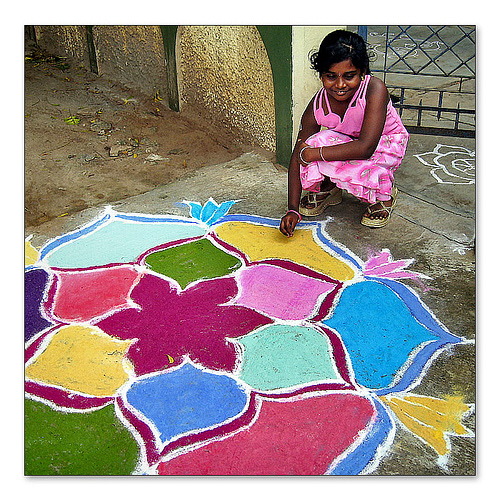 Kolams are a type of local art from South India. Read about them at the Wikipedia site for Kolams (it is a quick read, but a very interesting one). Let’s have a conversation in the comments about the different types of symmetry that exists in different Kolams. Oh, and yes… it goes completely without saying that if you make one of these (especially if you use the rice powder or colored sand), I want to see a serious photo of it. Link your Facebook, put it on Flickr, no me importa, just get it to me. I have WordPress Blogger (and Ph.D. mathematics student) Jeremy Kun to thank for inspiring this post. His original post “Graph Coloring, or Proof by Crayon” not only lent me the title, but a ton of fantastic insight into the many, MANY different applications of this kind of mathematics. So, soon-to-be Dr. Kun, many thanks and I hope that you enjoy my take on this. All right, the first part of this problem is a challenge. Print out (or transfer into paint or some other photo editing software) the map shown below. 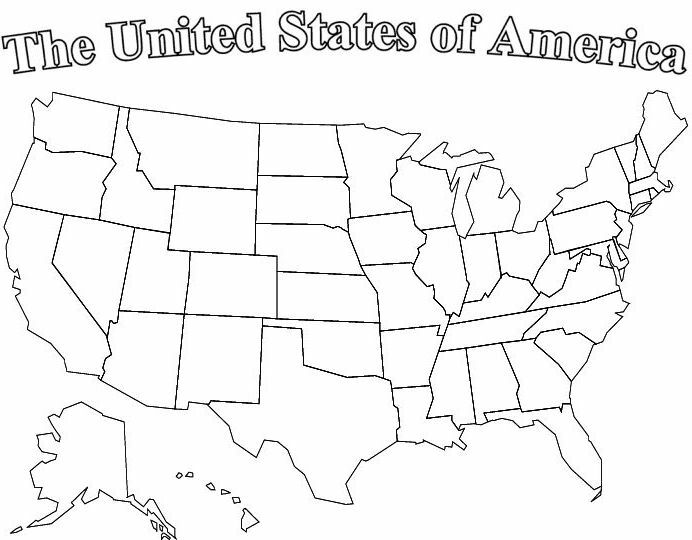 The challenge is to color the map in as few colors as possible making sure that no two states that touch each other are colored the same color. Now, do the same thing with the Michigan county map shown below. Now, do the same thing with the European map shown below. Now, when you have done that, I want you to put into the comments the number of colors you had to use to meet the requirements of the problems for each map. Part II will come when we get some data to work with. Baseball life-saving catch: Real or Fake? After watching the video (for me, I had to watch it about 5 times before I really put together too many coherent thoughts other than, “what the heck?”) we need to decide whether or not the video is real or fake? Remember, the fact that it is incredibly improbable doesn’t mean this video is fake. What makes makes something improbable is the same thing that makes it possible. That is, improbability is measured by having a many, many more different outcomes than the one in question. But the one in question, still could occur. So, this video could be real. It could also be fake. Do you see anything in the video that would be evidence of either one? Direct proof might not work in this case. State your thoughts in the comments. This post inspired a classroom activity and corresponding reflections. If you would like to see how this went when it was given to a group of young people, please feel free to check out Mathematical Modeling: The Glass is Half-Full. Notice how the glass gets wider as the glass gets taller. 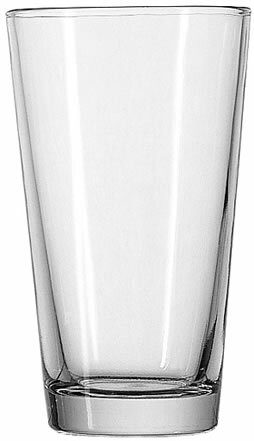 This will make the task of drawing horizontal half-way line (that is, the line where half the volume of the glass is above the line and have the volume of the glass is below the line) more difficult. So, how would you figure out where to draw the horizontal half-way line? Would that method work for finding the quarter lines as well? So, it turns out that a basketball is bigger than a baseball. (Those ready to nominate thegeometryteacher for a Nobel Prize may want to use this as my fundamental discovery). But, I have a simple question. The number of answers that we can discover will illustrate the reason that science, math, and economics require many years of study to master. 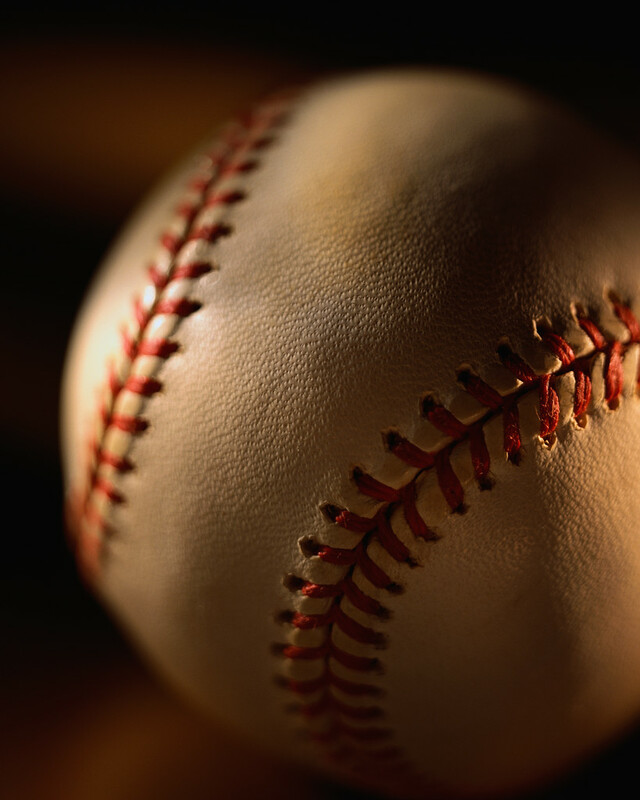 So, here’s the question: speaking of a standard baseball and a collegiate men’s basketball: How much bigger is the basketball than the baseball? Your mind is probably already asking at least 3 clarifying questions (all excellent questions, at that). Normally, clarifying questions are great. They are designed to focus the mind after an unclear task. However, in this post, we don’t want to seek an answer. We want to see just as many possible answers we can. So, flood the comments with answers. Explain your answers after you state them. 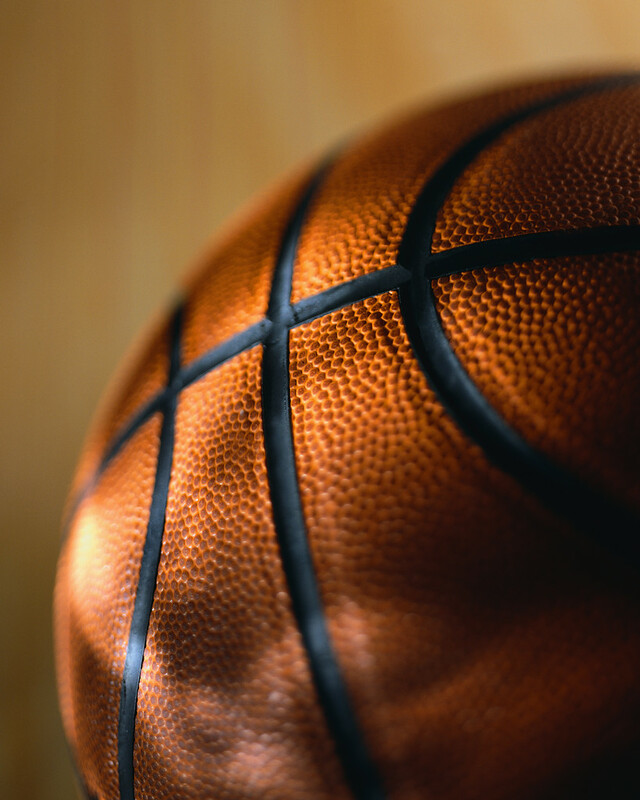 How much bigger is the basketball than the baseball?